Disclosure: I don’t know her personally and I am not signed up to her politics. I rarely like what she says and I don’t like what she says about Murdoch. But I’d walk the streets with her to support her in her comments about how misogynist abuse is hurled at women in the public eye. She highlighted a serious issue about Sexism in Britain today. Yes, people have the right to disagree with her views. Yes, if you put yourself up there as a public figure you must take the brickbats along with the plaudits. But no one should be subjected to the hateful sexist comments made about her on Twitter. What is horrifying is that so many were about the fact that she is a woman and were of a sexual nature, relating to the sexual violence they would like to subject her to. I can’t even bring myself to repeat them but she saved some of them in her Twitter account under ‘favourites’. And they are clearly not just from ill educated louts. (Although there is an argument to be made that anyone with those attitudes falls into that category-I’ll make that argument). So to anyone who says to me we don’t need feminism anymore, that there really isn’t an issue if women take advantage of all that’s on offer, I refer you to Louise’s twitter account, and I applaud her for drawing attention to something that we as a society need to address. And that’s a first! You may be interested in Are You Asking For It? 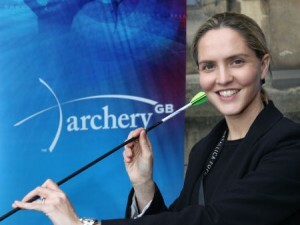 Personally I don’t know Louise Mensch but from her tweets you can see she is passionate about her constituency which is refreshing to see for an MP these days buy why should she have to tolerate sexist and hateful comments made about her because she speaks her mind and the other party disagrees – yes argue with her or make your point but not via vile sexist comments – is this because the people who do this are bullies in real life and don’t actually do anything. Coincidently today I read a great letter written on the freedom of speech and the power of argument by Bill Hicks a great comic (RIP) http://www.lettersofnote.com/2012/04/bill-hicks-on-freedom-of-speech.html which sums us the power of argument …. Thanks for that link, I loved it!